Helen Gardner began her landmark Art Through The Ages (1926) with a question: "When in the long development of human life did art first appear, and why?" 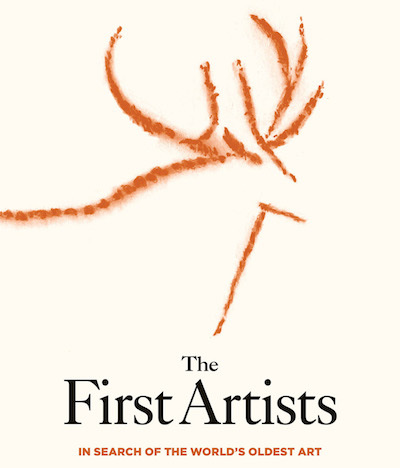 Michel Lorblanchet and Paul Bahn's new book The First Artists outlines the available evidence for the origins of art: "This book aims to analyse the earliest human creative behaviour and identify the first artistic expressions, trying to distinguish apparently non-utilitarian products that were detached from the immediate needs of survival." The First Artists: In Search Of The World's Oldest Art discusses Neanderthal tools and Palaeolithic engravings, artefacts whose status as aesthetic or symbolic objects remains unresolved. The book also examines equally ambiguous figurines that predate the famous Willendorf and Hohle Fels Venuses. By contrast, the earliest examples of beaded jewellery are more easily verifiable as decorative in nature. Lois Sherr Dubin also discusses these adornments, which are up to 100,000 years old, in The Worldwide History Of Beads (2009). Most histories of art begin with cave paintings, particularly those of Chauvet in France. Lorblanchet and Bahn, however, dispute Chauvet's generally accepted status as the earliest example of parietal art. Both authors are experts in the field, and Bahn's Images Of The Ice Age (1988; revised as Journey Through The Ice Age) is the most comprehensive book on the subject.